Business cards are very important in any kind of business and a good design will make your company stand out from the crowd. 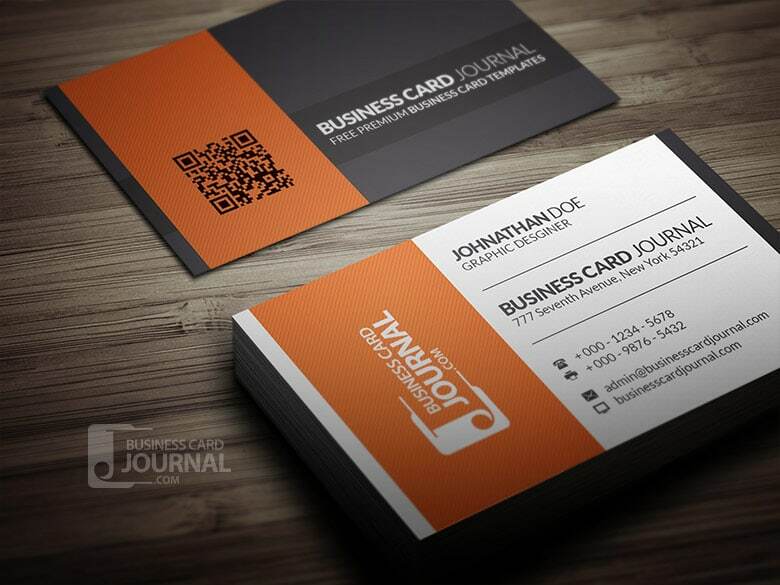 Business cards templates are great if you want to promote your business and need a quick and cheap design. 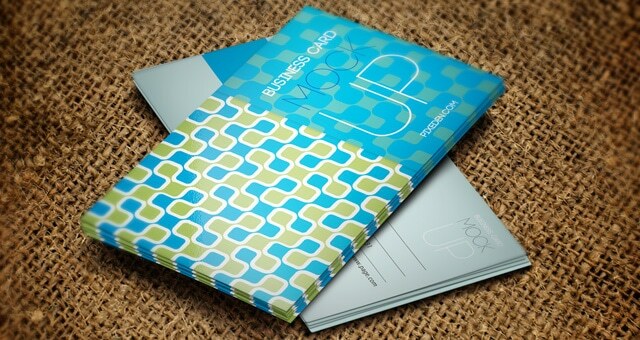 To make things easier for you, we selected 20 free business card templates and mockups for you to choose from. 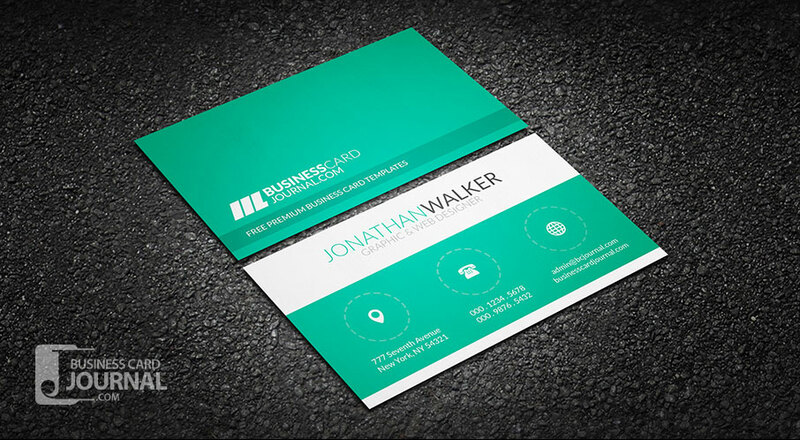 These free business card templates and mockups are also great for designers! Check them out! 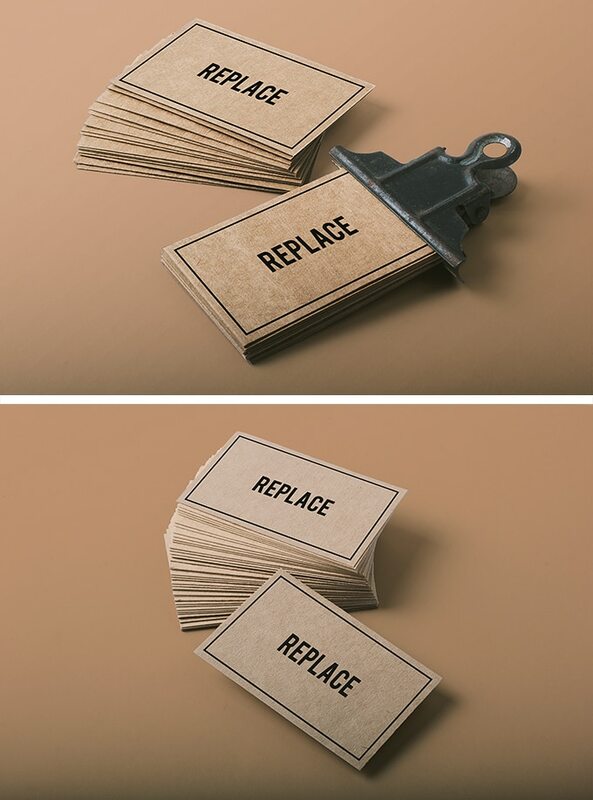 This is a great free business card mockup any designer can use in his/her own designs. You can use this mockup wherever you want, just don’t resell them, and credit the original designer. You will get 2 PSD files that are hard to download and edit. Both design have different light and dark background so you get to choose what’s the best way to present your design to the audience. 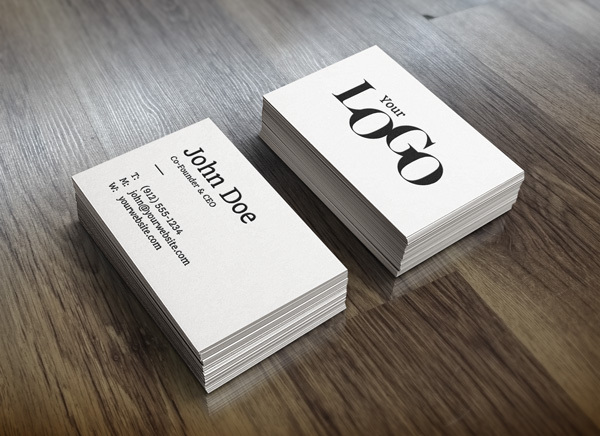 This is a great free business card mockup which comes as a PSD file. You can use this mockup any way you want. The special thing about this mock-up is that it uses a nice and very simple arrangement for the frond and back view of the business card. The simple, neutral background creates a minimalistic effect. This is also a very nice alternative for a clean, modern mock-up that you can use to showcase your business card designs. It has a very nice background that offers perspective to the image and creates a realistic presentation. With this free PSD mockup it is easy to apply your designs using smart objects, just double-click the Smart Layer, copy & paste your artwork, save and you’re done. This is a very special freebie because it offers a clean and professional look to your design. The light, neutral background and card holder are some great choices for you to use. This is a simple business card mock-up. 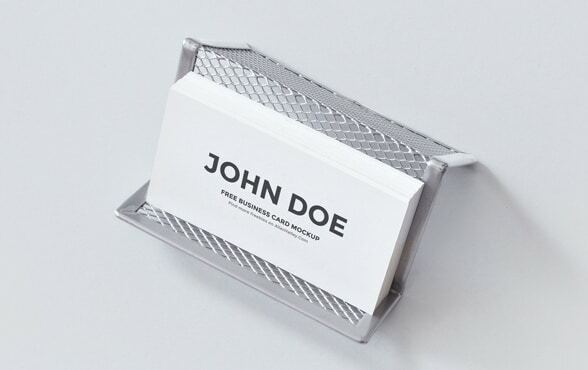 You can use it to present the business card in a better look. It is very easy to use, just double-click the Smart Layer, copy & paste your artwork. The best part of this mock-up is that you can choose between two different arrangements. The simple background and soft shadows are ideal for your presentations. 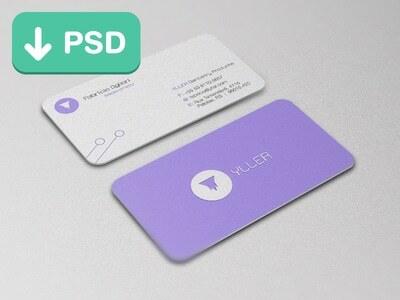 This PSD business card mock-up template is the best way to showcase your corporate design. With a simple drag and drop on the smart object layer, your design will be presented in a realistic and striking way. This elegant design also has a subtle, gray background. 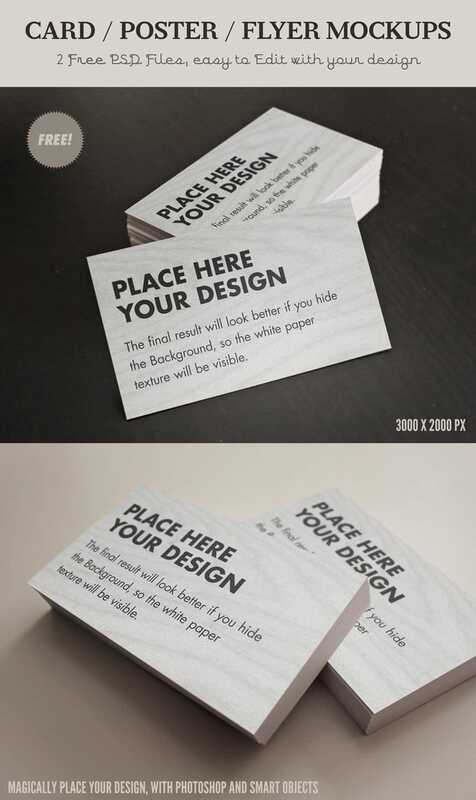 Use this if you want to show everyone how your business card design will look in a close-up. 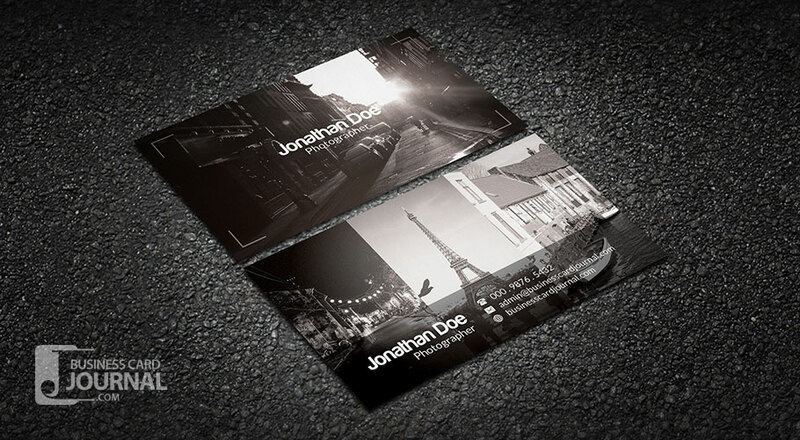 This is a PSD business card mock-up template, ideal to bring life to your business card design. Use it to preview before printing, showcase your design to clients or on a portfolio website. You can apply back and front design or only front design with a simple drag and drop on the smart object layer. By using this freebie you make sure that you create a striking, eye-catching presentation of your business card that people will love. The background adds a nice personal, textured touch to the whole image. Just drag and drop your work and see the result immediately thanks to smart layers. You are allowed to use these files anywhere you want (except selling). 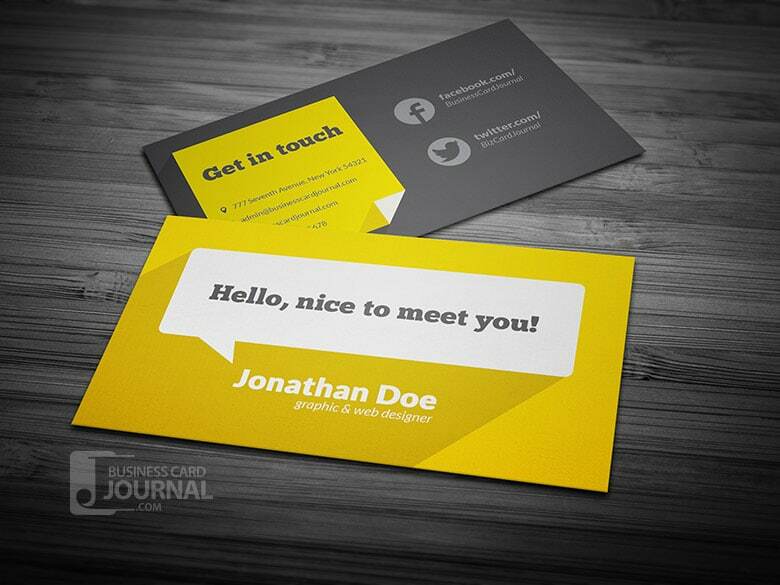 This is a great example of how you can use a vertical business card mock-up to stand out from the crowd. 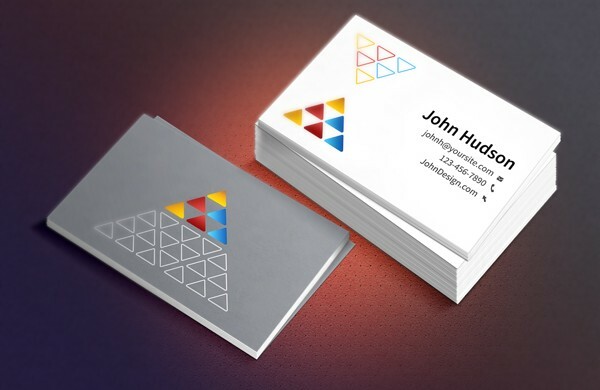 This is a business card mockup designed in perspective view. This will showcase your business cards attractively. Just put your designs to the placeholders and you are ready to go. Even though it doesn’t have a complicated design, this mock-up will have a great effect for you clients and projects. The simple, wooden background will put your designs in a flattering light. It also comes with 2 different layout choices. This business card mock-up is fully customizable. You can add your design or simply edit the template information very easy, via smart object. The shadows, reflections, depth of field and background texture are on separate layers, so you can play around with all the details. You can also use this freebie to present your ideas and design projects to customers and create a very professional presentation. 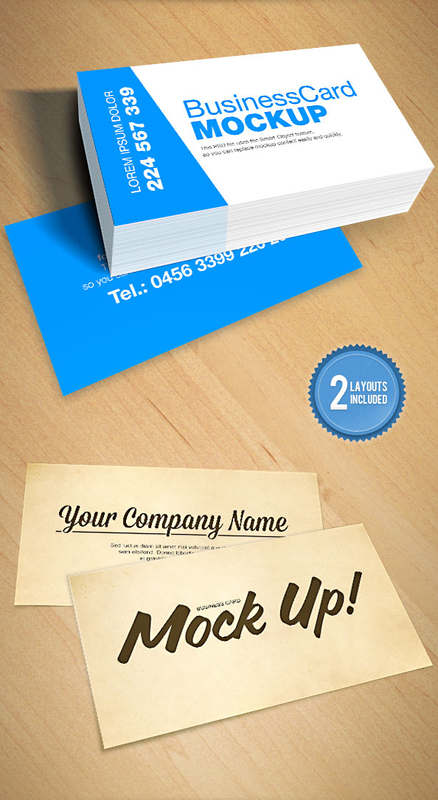 This is a business card PSD template and display mockup. 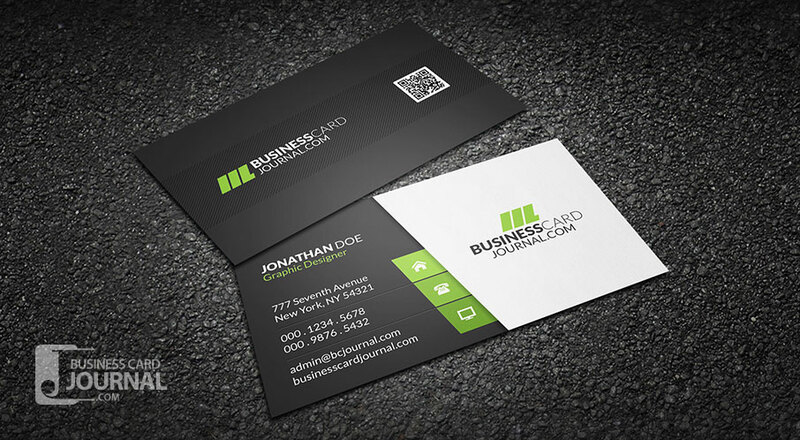 The business card is elegant and modern in its look, has two sides of the card design. 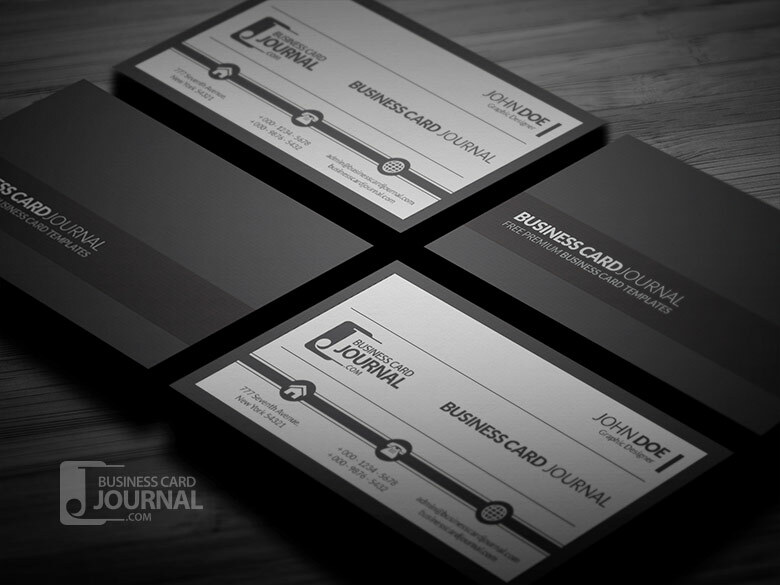 In total there are 3 PSD files of the business card: 1. Front part 2. Back part and 3. 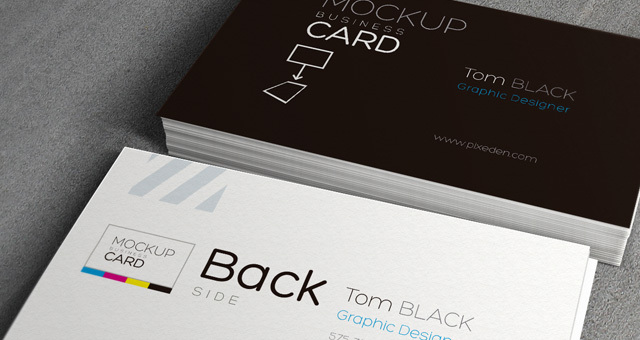 Mockup file to display your business card. We suggest using this item in your presentations to make your designs and ideas striking. The colorful background creates a very nice, modern effect on the whole image. This business card design truly summons up what modern minimalistic design is all about and has a vibrant, refreshing design. It’s very easy to download and customize it and you can change the colors, icons and text or you can add your own artwork to it. This is a professional yet creative QR Code business card template with dark background and a slight touch of green as the core color. The design itself is clean and uncluttered making this card suitable for any business industry. By using a business card that has a dark, clean background you make sure your clients will appreciate the simplicity and elegance of your business. 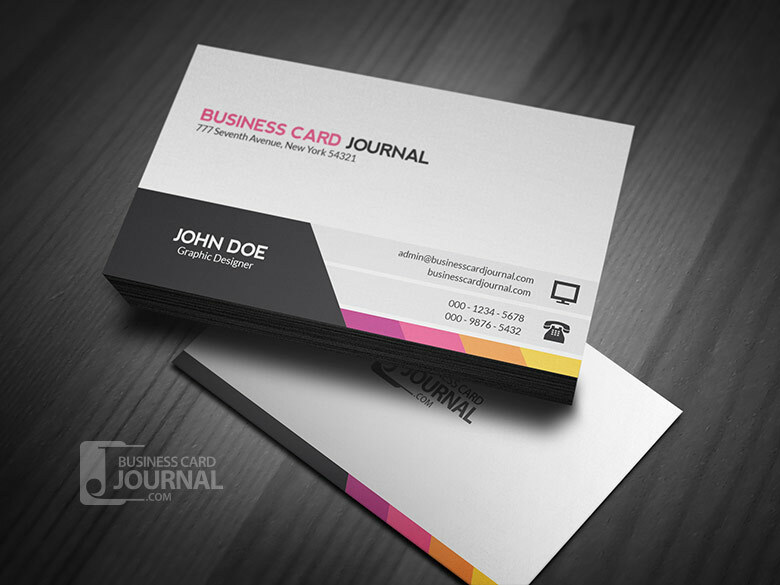 This is an amazing multi-color business card template for those who prefer a touch of creativity coupled with vibrant colors. 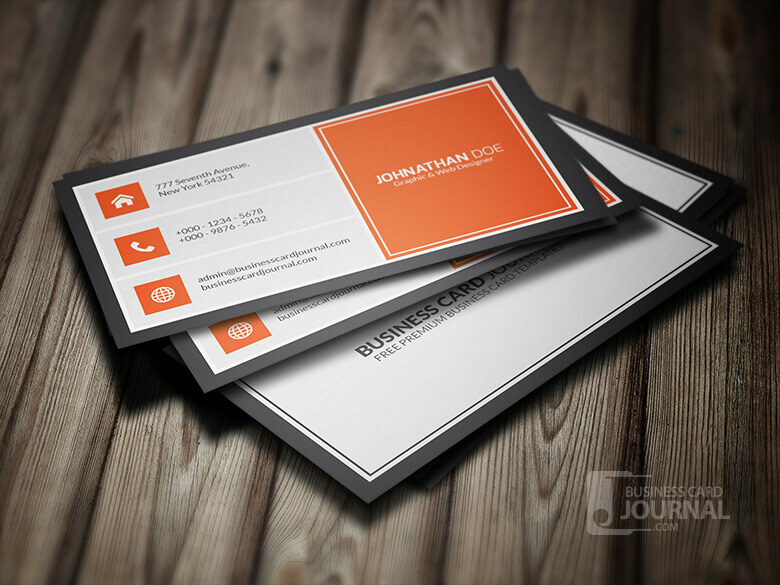 The layout is super clean and can be used as a personal or corporate business card. You can easily customize this business card and change the core colors so they match your project. You can also change the text and fonts. This is an excellent way to showcase some of your best work to your would-be clients. Photos can be easily put into place using smart objects. We recommend this business card especially for photographers that want to have a personal touch in presenting their business, but it can work for other creatives too. This business card is highly recommended for corporate usage. The used of bright orange with black and white background compliments the modern design of this template. This template also uses the QR code technology which makes this item even more modern and easy to use for your clients. 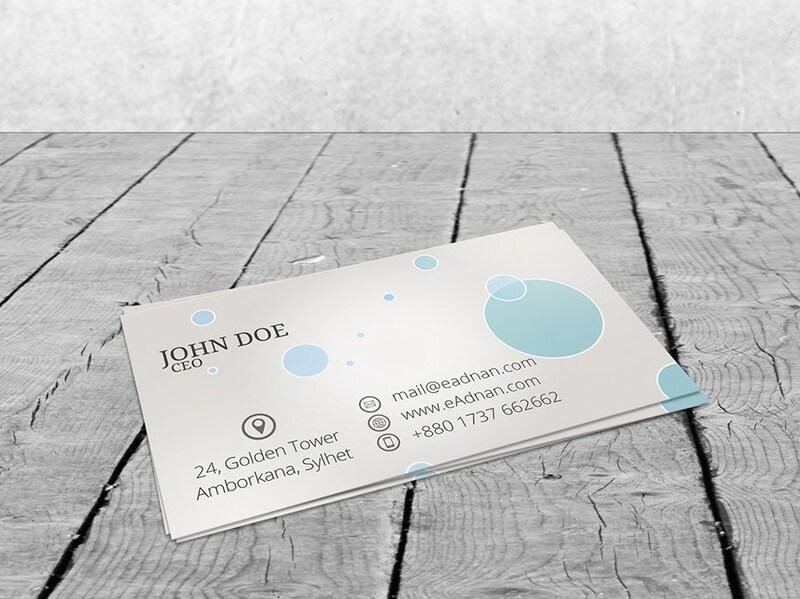 This is a corporate business card template that is both professional and stylish. The color can be easily edited via vector shape layers. This is a great example of how you can use shapes and simple lines to create a clean, yet striking design. This is a free metro styled business card. 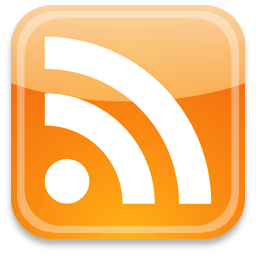 It has a modern simplistic design with clean and uncluttered layout. You’ll get a fully layered PSD template with separate background and effects that you can use in your presentations or commercial projects. This is a flat design business card template coupled with long shadow as well. Although it looks like a personal card, it can be used for businesses of any industry as well. This is a great example of flat design that’s both easy to achieve. 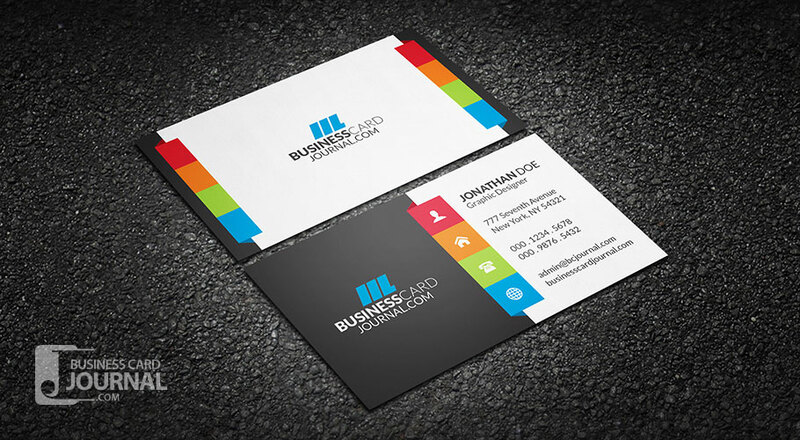 The strong color contrast make it very easy for people to remember your business card. This is a unique corporate business card template that looks simple yet modern. It features a clean and light design with warm colors nicely blended into the design. This fully editable design is suitable for businesses of any industry. Of course, you can change the core colors of this design to fulfill your needs and to match your project ideas.